A complete Physiotherapy Service for all your needs not just your knees! If you need a doctor urgently outside of DKC Clinic in opening hours, call emergency appointment number for emergency service. Here at DKC Clinic. we have individual doctor's lists. Click read more below to see services and current timetable for our doctors. At the Bromsgrove Imaging Centre we use a state of the art MRI Scanner, which allows weight bearing functional images if required at an affordable price. In our center situated in the same premise as the Droitwich Knee Clinic, there is access to on-site X-ray and Ultrasound scans as well. Our physiotherapy team has more than 50 years combined of unrivalled expertise working with all types of musculoskeletal problems. A complete Physiotherapy Service for all your needs! When you contact us we will arrange a consultation for you to visit one of our specialists, no long waiting times and to suit you at your earliest convenience. The simple pricing structure will be explained..
A total specialist care service for the diagnosis and treatment of knee and shoulder disorders, offering on-site Podiatry and a purpose built Physiotherapy centre. The Droitwich Knee Clinic is the oldest specialised knee clinic in the country, also specialising in shoulders, and has built up a reputation for outstanding patient care. 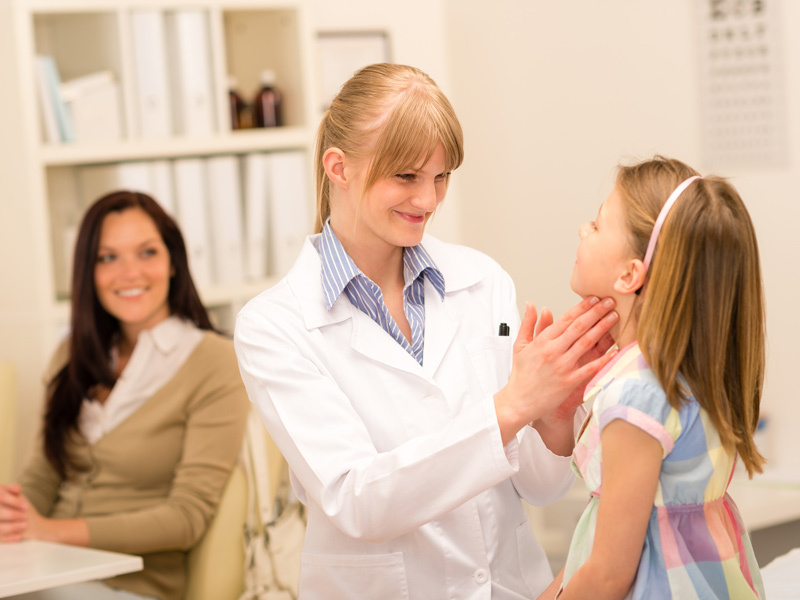 With a unique approach, every patient can be assured of a personal service, ensuring the advice or treatment given will provide the most effective outcome. With a professional clinical team all working closely together under one roof, you can be assured of good communication and to be treated quickly and efficiently during the early consultation stage right through to after-care. The team have access to extensive investigative equipment, such as X-RAY’s, MRI and physio assessment tools, enabling us to provide a ‘one stop solution’ tailored for each patient’s individual need. Droitwich Knee Clinic utilises all manners of conservative management options including podiatry, sports medicine, sports injury services and uniquely its own on-site Physiotherapy clinic and expert team. These combined can quite often successfully manage to delay surgery. As a result Droitwich Knee Clinic surgeons operate on less than 50% of patients that are referred – something we are very proud of! Kirti Moholkar Consultant Orthopaedic Surgeon at the Droitwich Knee clinic, Bromsgrove Knee Clinic and Royal Orthopaedic Hospital. Consultant Orthopaedic Surgeon, Royal Orthopaedic Hospital, Bristol Road, Birmingham, B31 2AA. Clinical Outcomes Lead, Royal Orthopaedic Hospital, Birmingham. Consultant Orthopaedic Surgeon, Droitwich Knee Clinic, 27 New Road, Bromsgrove, B60 2JL. Clinical Director, Arthroscopy Department, Royal Orthopaedic Hospital, Bristol Road, Birmingham, B31 2AA. Droitwich Knee Clinic MAC representative, BMI Droitwich Spa Hospital, 2009 -2012. Orthopaedic Member, British Computer Assisted Orthopaedic Society, 2012. Committee Member, British Indian Orthopaedic Association, 2010. Bromsgrove Knee Clinic @ Wolverhampton. Bromsgrove Knee Clinic@ Sutton Coldfield. Sports knee Medicine Fellowship, Flinders Medical Centre, Australia, January-June 1997. Knee Joint Replacement Fellowship, Repatriation Medical Centre, Adelaide, Australia, July-December 1997. Sports and AO Fellowship, Denver, Colorado, 2000. Knee and Shoulder Fellowship, Royal Orthopaedic Hospital, Birmingham, 2003. Shoulder Arthroscopy course, London, 23-24 April 2004. Newcastle Knee Injuries course, 13-14, May 2004.
International Shoulder course, Austria, 2-5 June, 2004. The Knee Arthroplasty, Summer University, Edinburgh September 2003. The Hip Arthroplasty, The Mariott, Worsley, Manchester, October 2003. The Hand Surgery course- Wrightington, Sept-2001. Basic Sciences in Orthopaedics, Bristol, June-2002. Paediatric Orthopaedic course, Dublin, October 2002. Current controversies in trauma, Dublin, October 2001. Bone Graft Substitutes in trauma, Aspen, Colorado, May 2001. Debates about Hip Replacement, Bristol, Nov 2001. AAOS, San Francisco, Feb 2001. Musculoskeletal MRI Symposium, Dublin, March 2000. Shoulder Arthroscopy, Royal College of Surgeons in Dublin, October 1998. Knee Arthroscopy, Royal College of Surgeons in Dublin, October-1998. Basic Arthroscopic techniques, Bombay, 1994. 22 – 23.02.07 ‘ The Knee All You Need to Know’ lecturing at course for Physiotherapists, Knee Foundation, Droitwich Knee Clinic. 23.09.06 Knee Foundation ACL Study Day, Droitwich Knee Clinic. 28.09.06 Knee Foundation Arthroscopic Knee Surgery Workshop, DKC. 11.11.06 Knee Foundation, Acute Knee Course, Droitwich Knee Clinic. Smith W, Moholkar K. “Forearm Non-unions” In the Upper Extremity Trauma, Life Sciences, Marcel and Dekker, New York 2003. Moholkar K, Ziran B. “ Posterior Acetabular fractures” In The Pelvic and Acetabular trauma , Marcel and Dekker , New York. To be published in November 2004. Moholkar K, Ziran B. “Local Complications” In Rockwood and Green`s Fractures in Adults, Lippincott Williams andWilkins, New York. Completed-To be published in December 2004. Moholkar K, Taylor D, Fenelon G. A safer technique to harvest patellar bone block during Anterior Cruciate Ligament Reconstruction. A Biomechanical study on porcine knees. JBJS 2002; 84A10: 1782-87. Moholkar K, Fenelon G. Normal volume of the foot and ankle .The Foot 2001;11-2: 63-65. Moholkar K, Corrigan J. Are lawnmower injuries preventable. The Foot 2001; 11-3: 158-9. Moholkar K, Fenelon G. Diurnal variations of foot and ankle volume. J Foot Ankle Surg. 2001; 40-5: 302-4. Moholkar K, Y Lodhi, G McCoy. Implant removal in the Orthopaedic Clinics. A patient satisfaction survey. Acta Orthop Belg. 2003 Dec; 69(6):507-9. Moholkar K, Corrigan J. 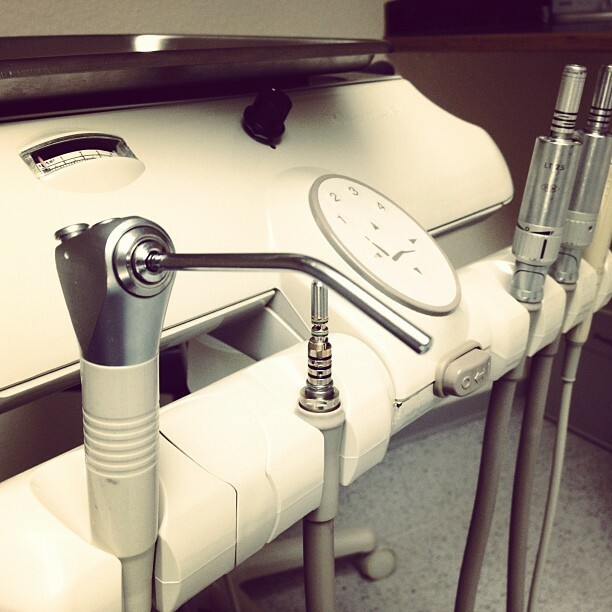 An assessment of the effectiveness of pre-operative dental visit - an audit of the elective orthopaedic assessment clinic in relation to dental infection and joint arthroplasty. Eur J Orthop Surg Traumatol 2004;14- 2: 75 – 79. Moholkar K, Corrigan J. Lawn-mower injuries in children. Eur J Orthop Surg Traumatol 2004; 14-2: 122-123. Mc Graw P, Bonvebto B, Moholkar K. Phalangeal intraosseous epidermoid cyst Acta Orthop. Belg., 2004; 70-3:1-3. Moholkar K, Smyth H. Acute compartment syndrome of the forearm in association with ulnar shortening osteotomy. J Hand Surg -A 2000; 25-2: 358-9. Moholkar K, Tamblyn P. Metallic wear debris and osteolysis presenting as tumor in cemented total hip arthroplasty. J Arthroplasty 2001; 16-3: 404-7. Moholkar K, Mc Coy G. 2 0 Ethilon Test. Orthopaedics 2004. Moholkar K, O`Sullivan T. Acutrak fixation of comminuted distal radial fractures. Acta Orthop Belg. 2004. Moholkar K, R Mohan, P Gregoris. The uses of long gamma nail for stabilization of existing and impending pathological femur fractures- An analysis of 48 cases. Submitted to Acta Belgica 2004. Moholkar K, Fenelon G. A study to determine the accuracy and reliability of volumetric analysis of the foot and ankle.Ir. J. Med. Sc. Vol. 168-3, 213, 1999. Moholkar K, Fenelon G. Is filling the femoral entrance hole in Total knee arthroplasty worth an effort? JBJS-B 2000,Orthopaedic proceedings; 83:170. Moholkar K, Taylor D, Fenelon G. A new and safer technique to harvest patellar bone block during Anterior Cruciate Ligament Reconstruction. Irish Journal of Medical Sciences. Ir. J. Med. Sc. Vol. 169-3, 19, 2000. K Moholkar, J Day, T Meadows et al. Do Paediatric Orthopaedic Hospitals need a new Arthroscope. Retrospective chart review of adolescent knee injuries treated in Booth Hall Children’s Hospital between 1999 and 2003, Injury, 2004. Moholkar K, Fenelon G. Recurrences after Initial Dislocation of the Shoulder - A Retrospective study of 121 patients. EFORT, Brussels, June 3-6, 1999. Moholkar K, Fenelon G. Recurrences after Initial Dislocation of the Shoulder - A Retrospective study of 121 patients. SECEC, 1999, Hague. A Sajjad, K Moholkar, G Mc Coy. Urinary Catheterisation and Joint Arthroplasty ISTA September 2001 Symposium Maui, Hawaii. Moholkar K, Fenelon G. Colles fracture - Should the Rheumatologist have an input? A poster presented at the Irish Soc. of Rheumatology conference held at the Mater Hospital, Dublin, October 1998. K Moholkar, G Fenelon. A study to determine the accuracy and reliability of volumetric analysis of the Foot and Ankle. Presented at the 5th Annual conference of the Bioengineering Society and the Royal Academy of Medicine of Ireland, at the Tulfarri House, Blessington, Ireland on the 30th January 1999. K Moholkar, G Fenelon. A new and safer technique to harvest patellar bone block during Anterior CruciateLigament Reconstruction. Presented at the conference of the Bioengineering Society and the Royal Academy of Medicine of Ireland, at the Arklow Bay Hotel, Arklow, Ireland, and 6th January 2000. K Moholkar, J Day, T Meadows et al. Do Paediatric Orthopaedic Hospitals need a new Arthroscope. Presented to the British Trauma Society on 1-10-03 in London. a) Studying the properties of porcine cancellous and cortical bone in relation to stress risers. of this project was that round cornered patellar bone plugs are better and safe than the traditional sharp cornered ones. Moholkar K, Y Lodhi, G McCoy. Treating finger tip injuries-Are patients happier if treated in the theatre or the emergency room. 1970: Scottish Certificate of Education - Higher levels, Aberdeen Grammar School, Scotland. 1975: BSc Anatomy - Physiology Faculty of Science, University of Alexandria, Egypt. 1978: MBBCh, Faculty of Medicine, University of Alexandria, Egypt 1983: MChOrth Faculty of Medicine, University of Alexandria, Egypt. 1979: Internship at Alexandria University Hospitals for six months including Burns, Anaesthesia, Gynaecology, Obstetrics and Paediatrics. 1979 - 1980: Internship at Ministry of Health Hospitals for six months including General Surgery, Internal Medicine and Fevers. March - July 1980: Resident - Orthopaedic Surgery, Alexandria University Students' Hospital. July 1980 - Resident - Orthopaedic Surgery, Oct 1981 General Military Hospital, Alexandria. Nov 1981 - Visiting Resident, March 1983 Hadara University Hospital (320 Orthopaedic & Fracture beds), University of Alexandria. March – Sept Resident - Orthopaedic Surgery, 1983 El-Mouassat Hospital. Oct 1983 - Specialist - Orthopaedic Surgery, May 1989 Alexandria University Students Hospital. 1984 - Part-time Specialist - Dec 1988 Orthopaedic Surgery, El-Sammak Private Hospitals, Alexandria (El-Seguini and Hassab Hospitals). 1984 - 1989 Part-time Orthopaedic Surgeon and Founding Member of the Medical Care Advisory Team, responsible for medical care of expatriates belonging to foreign firms in Alexandria, including the American Consulate General. 1985 - 1989 Part-time attending Orthopaedic Surgeon in charge of the Alexandria Union Sporting Club first basket-ball team. 1 August 1989 - *SHO Orthopaedic Surgery, 31 Oct 1989 Academic Unit, Hope Hospital, Salford, Manchester. 1 Nov 1989 - *SHO Orthopaedic Surgery, 31 Jan 1990 Royal Manchester Children's Hospital. 1 Feb 1990 - *Registrar - Orthopaedic Surgery, 31 July 1990 Withers Orthopaedic Centre, Musgrave Park Hospital, Belfast. 1 August 1990 - *Registrar - Fractures, 31 Jan 1991 Royal Victoria Hospital, Belfast. 1 Feb 1991 - *Registrar, Orthopaedic Surgery, 31 July 1991 Withers Orthopaedic Centre, Musgrave Park Hospital, Belfast. 1 August 1991 - *Registrar - Orthopaedic Surgery, 31 Jan 1992 Withers Orthopaedic Centre, Tutor, Department of Orthopaedic Surgery, Queens University, Belfast, Musgrave Park Hospital. 1 Feb 1992 - *Registrar - Orthopaedic Surgery 31 July 1992 & Traumatology, Ulster Hospital Dundonald, Belfast. 1 August 1992 - *Registrar - Orthopaedic Traumatology 31 Jan 1993 Belfast City Hospital. 19 Sept 1992 - Locum Senior Registrar, 31 Oct 1992 Orthopaedic Surgery and Traumatology, Fellow to Mr A J Hall in Arthroscopic ACL Reconstruction. 1 Feb 1993 - *Senior Registrar - Orthopaedic 31 July 1993 Surgery and Traumatology, Ulster Hospital, Dundonald, Belfast. 1 August 1993 - Specialist Orthopaedic Surgeon, Oct 1996 Alexandria University Students Hospital, Egypt. Part-time attending Consultant Orthopaedic Surgeon, Alexandria International Hospital. Part-time attending Consultant Orthopaedic Surgeon, El-Seguini Private Hospital, Alexandria. Sept - Dec 1995 Knee Fellow to Mr Angus Strover, FRCS Droitwich Knee Clinic, Droitwich, Worcs. Oct 1996 - Senior Lecturer, University of Sheffield, June 1999 Honorary Consultant Orthopaedic Surgeon, Limb Reconstruction Service Northern General Hospital, Sheffield * Positions sponsored and recognised by the Royal College of Surgeons, England. Use of the Sheffield Hybrid System for tibial pilon fractures. Very soon after I started my internship, I realised that I was keen on a surgical speciality. The first available opportunity was in Orthopaedics at the Alexandria University Students’ Hospital. This is a small (110 beds at the time) hospital with a strong tradition in care for sports injuries. As, at the time, I myself was heavily involved in sports, this tied in with my interests and I quickly became comfortable with a broad spectrum of knee injuries. At that stage, open menisectomies were still practised as were various extra-articular reconstructions for Anterior Cruciate Ligament injuries, including pes ansereni transfers etc. This was in addition to some Orthopaedics and trauma. It was not until I joined the Army for my statutory military service, that I was exposed to more serious trauma. Following a short period of military training I was lucky to train with Gen/ Dr Samy Mansour FRCS, (now Professor Mansour) a local pioneer in hip surgery in Alexandria. With him I saw my first total hip replacements. Across the street from the General Military Hospital in Alexandria was the Hadara University Hospital with 320 Orthopaedic & trauma beds. This was the major tertiary referral centre from all of the north Coast and the northern half of the Nile Delta. When not on duty, I would go across to attend meetings, ward rounds etc. I finally managed to secure a visiting residency there, at first on part-time basis but eventually full time. There, I was exposed to long hours of backbreaking work, many sleepless nights in a row. It was well worth it, however. As many who have trained there in that era, will vouch, the experience one can gain there is priceless. The take system was one week in three. During the take, I would be resident in the hospital round the clock. The number of trauma admissions was always more than theatre lists or human resources could cope with. A large number were treated conservatively on traction etc. I was also exposed to the treatment of Acute and Chronic Osteomyelitis, some tuberculosis and a considerable amount of deformity corrections for Polio etc. One of the surgeons I trained with, there was the late Professor Abdel-Razzak. He was the first to pioneer scoliosis surgery in Egypt. His other interest was hand surgery and I was later to work quite closely with him at El-Mouassat Hospital, where he also performed most of his private surgery. In October 1983, a few months after passing my MChOrth(Alex) exams, I secured a permanent post as Specialist in Orthopaedic Surgery at the Alexandria University Students’ Hospital, where I continued to cultivate my interests in sports injuries. I was impressed by the disabling chronic instability of the ankle amongst top level football and basketball players and performed a series of lateral ligament repairs having developed a non-invasive technique for radiological diagnosis of complete tears (MChOrth thesis). The results were extremely encouraging. At that early stage I was also involved in the day to day management of trauma and had a particular interest in osteosynthesis using AO techniques. Apart from this I performed a number of femoral and tibial lengthenings using mainly the Wagner Technique (and others later including callotasis), in addition to lower limb deformity corrections. The AO course in Davos in 1984, was my first real exposure to theinternational community of Orthopaedic surgeons, meeting such eminent people as Martin Allgower, the late Hans Willeneger, Roli Jacob, Joe Schatzker, Charles Rockwood Jr (who was the guest speaker that year) and many others. It was Professor Allgower, who, knowing my interests in knee surgery, helped arrange for my AO Fellowship in 1986 with Werner Muller outside Basel. There quite apart from the trauma, I was also exposed to a large number of ACL reconstructions as well as my first real exposure to arthroscopic surgery with Roger Baumgartner. I also took the opportunity to visit several AO centres in Switzerland and Southern Germany, meeting Maurice Muller and Professor Ganz in Bern, Professor Morscher in Basel, Professor Gschwend and Dr Steiger in Zurich and Professor Magerl in St Gallen. I also visited a number of surgeons with an interest in knee surgery such as Roli Jakob in Bern and Dr Munzinger in Zurich. Meeting with Professor Weber in St Gallen fired my interest in the management of difficult nonunions and later in the biology of fracture healing. It was in 1989, having gained considerable experience with AO techniques, that I commenced my training in the UK, mostly in Belfast. There, apart from general Orthopaedics and trauma, I became adept in techniques of intramedullary nailing as well as arthroplasty of knees and hips. In this respect, the training there complemented my past experience nicely. There I was exposed to the vast Belfast experience in trauma management, in general and polytrauma in particular. My interest in complex trauma continued ever since. During my training in the UK, I was always keen on staying abreast of recent advances in my other main interests. I therefore attended a large number of courses on various subjects, such as knee surgery but also nurturing my interests in lower limb reconstructive surgery and external fixation, which I had developed from my past experience with Polio patients. During my training in Belfast, I used my annual leave to spend six weeks as locum Senior Registrar to Mr Anthony Hall at Charing Cross. There, and also assisting him at his private sessions, I saw his techniques in arthroscopic ACL reconstruction. Later in 1995 I took a four month fellowship at the Droitwich Knee Clinic, with Mr Angus Strover and others. There as well as exposure to a large number of arthroscopic reconstructions and meniscal repairs, I developed an interest in patellofemoral problems and learnt more techniques of dealing with them in a more scientific fashion, often guided by isokinetic testing (KinCom). During a short period back in Egypt, apart from initiating a Sports Injury Clinic at Alexandria University, I was instrumental in the set up of a new dedicated theatre suite including up to date digital arthroscopic equipment and motorised instruments, as well as equipment for documentation. My interest in lower limb reconstruction and complex trauma was maintained throughout this period. Apart from courses, including the Ilizarov Basic Course, I visited Maurizio Catagni in Lecco, Italy for one week. This as well as other visits helped my practice both in Egypt and later in the UK. Duties of Previous Post: As Honorary Consultant Orthopaedic Surgeon, at the Northern General Hospital in Sheffield, I had taken charge of the day to day management of trauma for the academic unit. Working in close association with Professor Michael Saleh, I have learnt a large number of different external fixation techniques in very complex situations. I took part in the running of the Adult Limb Reconstruction Service, with one clinic and one to two theatre sessions weekly, apart from my trauma list. Within the broad spectrum of complex trauma, I have developed a special interest in complex distal tibial fractures including the management of Pilon fractures with minimally invasive techniques and similarly in the treatment of complex tibial plateau fractures. This combined with my past experience with reconstructive surgery of the lower limb and lengthening for Polio patients and in the treatment of Chronic Osteomyelitis has made my work with the Sheffield Limb Reconstruction Service all the more fruitful and enjoyable. I also handled the day to day administration of clinical matters relating to the academic unit including trauma and limb reconstruction. Running of the weekly audit meetings for the academic unit and participation in the six-weekly Orthopaedic Division meeting were part of my routine duties. My academic duties as Senior Lecturer included organising the undergraduate student courses, at this difficult time of change. These included fourth year and final year students. Arranging their timetable and curriculum for tutorials as well as teaching them personally (one to two hours per week) and arranging and participating in their assessments at the end of each module. I have always enjoyed teaching tremendously, whether under or postgraduate. Lesley qualified at the Royal Orthopaedic Hospital, Birmingham in 1976 and is one of the Clinic's founder physiotherapists, joining the team in 1988. She became Trustee of The Knee Foundation in 2003 and was president of the Worcester & District branch of the Chartered Society of Physiotherapy (CSP) from 2006 - 2012. With a Masters Degree in Sports Injury and Therapy, Lesley has developed a special interest in all aspects of knee injury, particularly rehabilitation following ligament reconstruction and is continually involved in education and research within this field. Tina Smith, clinic nurse at the DKC, introduces herself and describes her role in overseeing the clinics and helping in other aspects, such as assisting with consultations. Mr El Shazly is a consultant specialist surgeon at the DKC Clinic and previously held an honorary lectureship at..
Lesley qualified at the Royal Orthopaedic Hospital, Birmingham in 1976 and is one of the Clinic’s founder physiotherapists. introduces herself and describes her role in overseeing the clinics and helping in other aspects, such as assisting with consultations. It is likely that you have been referred by your GP or a health professional; however it is not necessary and it is just as simple to come to Droitwich Knee Clinic directly – we will even inform your GP for you. When you contact us we will arrange a consultation for you to visit one of our specialists, no long waiting times and to suit you at your earliest convenience. The simple pricing structure will be explained to you during your appointment, and an early diagnosis and expert opinion will be assured, followed by a detailed treatment plan. Similarly if you are using private health cover, although it is preferential for the Insurance Company to have a GP referral first, you may book your appointment to us prior to the referral being sent, just keep the company informed..